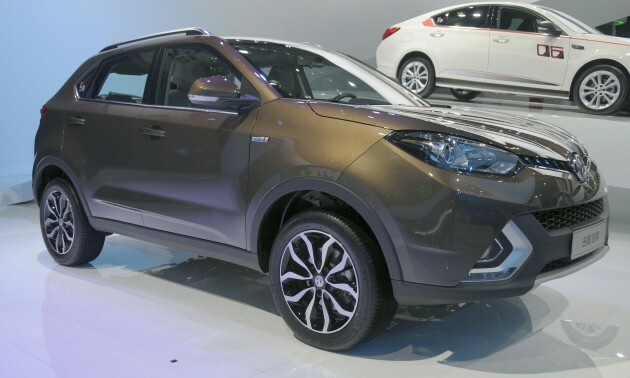 MG has unveiled the MG GS at the 2015 Shanghai Auto Show. First revealed late last year as the GTS, the GS borrows its styling cues from the MG CS concept that debuted in Shanghai two years ago. It goes on sale in China later this year and Europe towards the later part of 2016. The MG GS is powered by a 1.5 litre engine that produces 165 hp and 250 Nm of torque – a turbocharged 2.0 litre direct-injection engine that offering 217 hp and 350 Nm of torque (as previewed on the GTS) will also be available, the latter with a six-speed dual-clutch transmission. Both these engines will be offered for the Chinese market, with further engine choices set to come about for Europe. The crossover will be available in front-wheel as well as all-wheel drive forms. How on earth a 1.5 litre mill can produce 165hp? or is it turbocharged also? At least it won’t leak like some turbo car here. How you can so sure it wont leak? Q is: will it explode?